Wrong-site surgery can lead to serious health complications, and even cause a patient’s death. Learn how a Manhattan medical negligence attorney handles these cases. Medical negligence is a problem that continues to plague hospitals and it’s estimated that medical error causes 10 percent of all deaths in the U.S. each year. New York, California, Texas, and Florida ranked in the top four of states where the highest incidents of medical negligence occurred. The statistics show that medical negligence is a major problem in the healthcare industry, and one of the biggest types of negligence occurs with wrong-site surgery. Let’s analyze the meaning of wrong-site surgery and the circumstances that can lead to this situation by first defining the concept of negligence. The question seems so simple: What is negligence? Most people define negligence as something that occurs when a person isn’t paying attention to a task or fails to perform a task. To convince a jury that the defendant acted negligently, claimants must prove all these elements existed at the time of the breach. In medical malpractice claims, negligence may sometimes be a challenge to prove, and that includes wrong-site surgery claims. What Is Wrong Site Surgery? Wrong-site surgery refers to surgery that is performed on the wrong body part, or on the wrong site of an organ. For example, if a patient has a tumor on the left side of the body and a surgeon operates on the right side of the body, that doctor has performed wrong-site surgery. A surgeon that is supposed to operate on the third vertebrae of a patient’s spine, but operates on the fifth vertebrae instead, that would also qualify as wrong-site surgery. Wrong-site surgery is often grouped with other surgical errors such as wrong-procedure errors, and wrong-patient errors, which can have serious and even deadly consequences for the patients involved. It is relatively simple to show that a wrong-site surgery occurred, but the more difficult challenge is assigning liability for the event. That’s because surgeons are typically the last line of confirmation prior to the start of a surgical procedure, therefore, if negligence occurred before a surgeon is involved, the fault may not always lie with the surgeon. Causes of Wrong Site Surgery? Communication issues – If someone in the surgery prep chain, including nurses and assisting doctors, don’t communicate a vital piece of information to everyone in the chain, errors are likely to occur. Failure to use a checklist – A surgical checklist lists all the essential information of the surgery, including patient’s name and the specific procedure that is being performed. Emergency situation – Surgeons that work in a hospital emergency room are under tremendous pressure to perform operations on critical patients, and in the rush to treat patients, they may ignore safety protocols that lead to wrong-site surgery. Many hospitals have now instituted what is known as a surgical ‘timeout,’ in which everyone that is involved in the impending procedure takes a moment to ensure that they have reviewed the checklist and confirmed the specifics of the operation. The timeout is designed to give the surgical team a final moment to ensure that every aspect of the procedure has been reviewed and confirmed, thereby preventing a catastrophic error. Victims of surgical errors have the right to pursue legal claims, and if they choose to do so, finding a medical negligence attorney is the first step. An experienced lawyer can determine the merits of the claim and help victims build a case based on solid evidence. 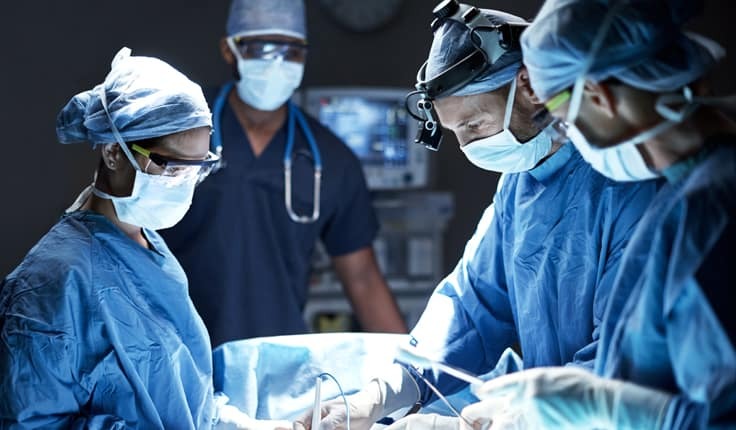 Victims of wrong-site surgery or any other type of medical error have the right to compensation for their injuries, and for pain and suffering says New York based Medical Malpractice Lawyer Jonathan C Reiter.